Dear SUT Members – March was another busy month for SUT, with branches delivering a number of activities including a Subsea Awareness Course in Aberdeen, the popular Global Offshore Prospects presentation from Westwood Global Energy, schools events for the UK’s National Science Week, as well as a full range of activities across the global network. For me the month started with a return from Oceanology Americas, followed by a short period of leave and engagement with our International Committee, the schools events and representing SUT at IMarEST’s AGM and Annual dinner. I was invited to St John’s Newfoundland to give the guest talk at the Oceans Advance (see http://oceansadvance.net/) AGM, and was made very welcome while I was in town, having the opportunity to meet local industry (special thanks to Subsea 7), give a guest lecture to students at Memorial University’s Marine Institute, and get to the see the excellent facilities at Memorial’s School of Engineering, the National Research Council of Canada’s impressive test facilities, the offsite marine base at Holyrood, and the Autonomous Ocean Systems Laboratory in St John’s where I met the prototype ‘Seaduck’ – an autonomous vehicle with a difference, as this one behaves as a surface vehicle then up-ends itself and can profile vertically to 200m, return to the surface and continue the mission. It’s designed to map icebergs and is one of the most innovative examples of ocean technology I’ve seen for a while. Contact Neil Riggs at Memorial for more information. 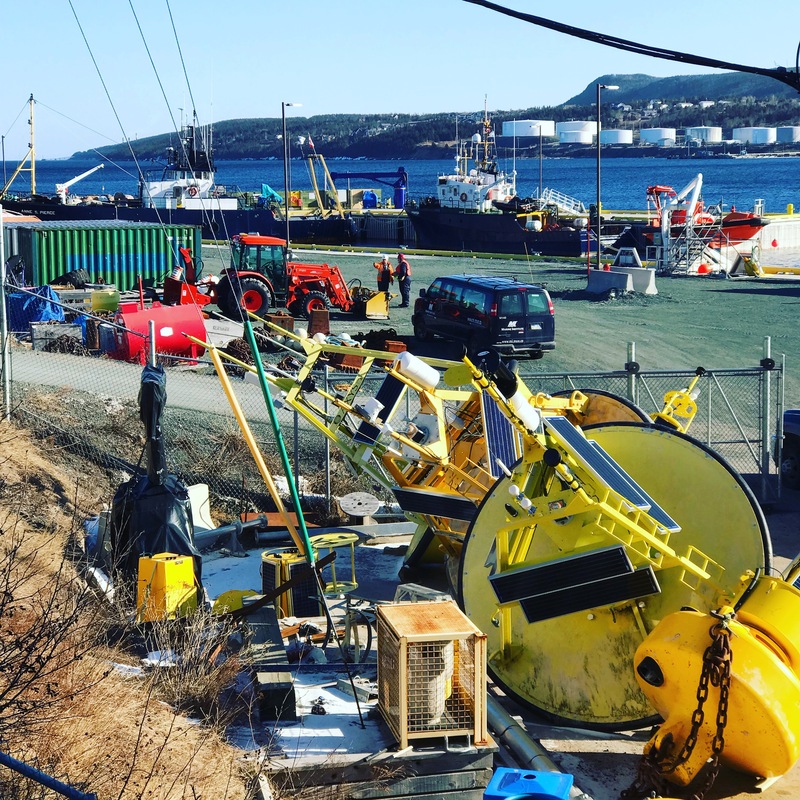 We fully intend to launch our first SUT Canada Branch in St John’s this summer, and if my visit is any indication it promises to be a successful new part of the SUT Community. Key point of contact is Paul Ryan at Memorial, or through me while we get the initial committee in place. Meanwhile Adrian Phillips and his colleagues have launched several activities at our new Middle East Branch, focused on Dubai and Abu Dhabi, and using Al Khalifa University and Heriot Watt UAE campus as the base for events. Things are moving quickly there and I’m delighted with the progress to date. In the final week of March I was invited to take part in the AtlantOS Symposium at UNESCO HQ, to make the case for how private industry, Learned Societies and Professional Bodies can engage in delivering sustained ocean observations in the Atlantic, and in support of the UN Decade of Ocean Science for Sustainable Development 2021-2030. 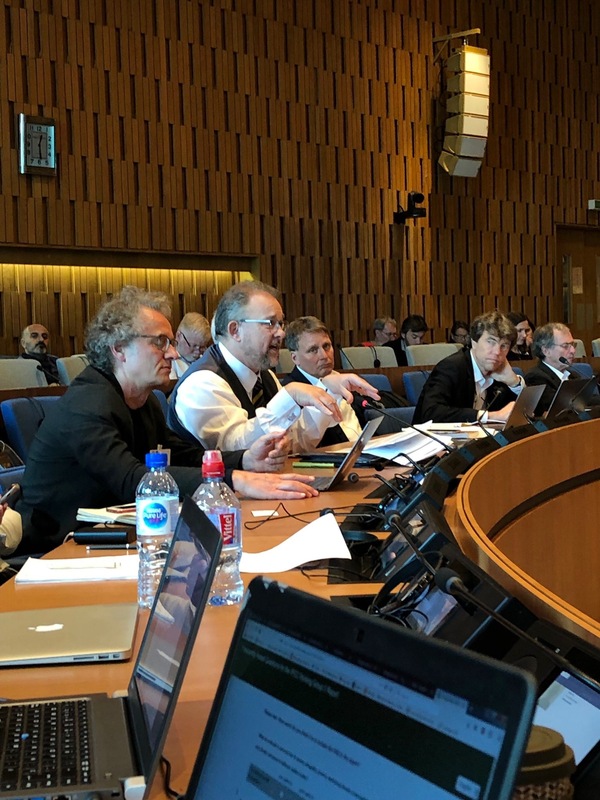 I’m grateful to the German research organisation GEOMAR for covering SUT’s costs to attend the meeting, and for recognising that we are key players in the science/technology/ocean policy interface able to speak for a large community. I’ve attached the text of my ‘intervention’, as they are known in UN circles, at the end of this newsletter. 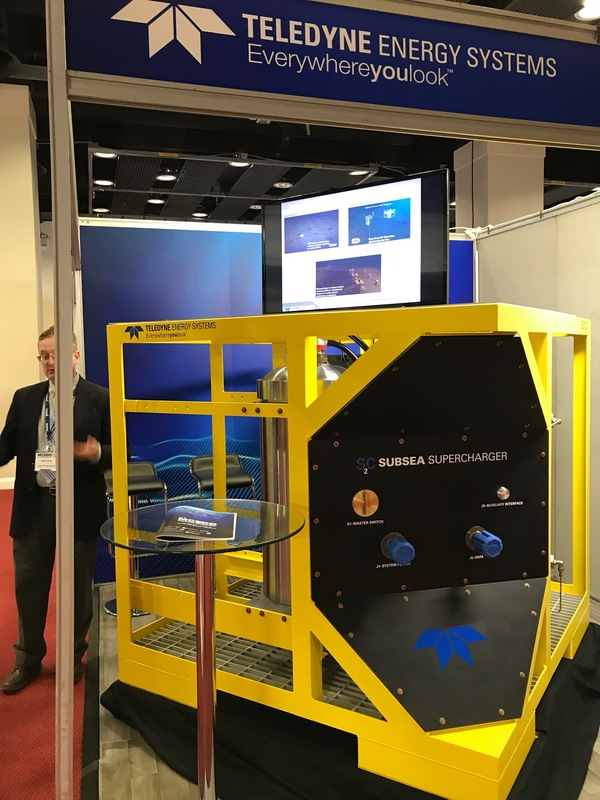 This week myself, David Saul and David Brookes plus many of our members took part in the MCE-Deepwater Development conference and Exhibition in London, chairing sessions and with David Saul delivering one of the technical talks. Next week it will be full-on for Ocean Business in Southampton – we’ll have a booth in the dockside marquee and I look forward to meeting members and recruiting new ones – this is key to our growth, if you know anyone who isn’t yet an SUT member please encourage them to join – we’re remarkably good value! Other news – we’re making progress on developing a partnership for accreditation and training that will be discussed at SUT Council later in April, more news on that very soon. Business Opportunity – Our friends at the Marine Management Organisation have asked me to let members know about a project to develop Technology Roadmaps for UK Overseas Territories, as part of the ‘Blue Belt’ Programme, with a focus on monitoring and surveillance against illegal fishing. The closing date is 29 April 2019, with the deadline for clarification questions on 12 April. Finally for this newsletter I’d like to send my very best wishes to Jennifer Maninin, the very able administrator of our Perth Branch, who has left us temporarily to go on maternity leave. I’m sure that all of all of us at SUT send Jennifer our best wishes and we look forward to hearing her news soon. Delegates – my name is Stephen Hall, I’m Chief Executive of the Society for Underwater Technology, an international Learned Society for Marine Science & Technology, established in 1966. Like many who work in our wide & varied ocean world I’m a member or Fellow of several other Societies in addition to my own, including the Marine Technology Society, Institute of Marine Engineering, Science & Technology, Scottish Association for Marine Science, and the Challenger Society for Marine Science. 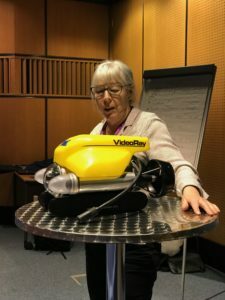 So what value does the global family of Learned Societies & Professional Bodies add to sustained ocean observing in the Atlantic, and to the UN Decade of Ocean Science for Sustainable Development? I believe that our community has much to offer. Between us, rather like an international Trade Union or traditional Master’s Guild, we represent the many thousands of individuals of all nationalities who spend their working lives at sea, or work onshore managing, building and planning new offshore activities, from coast to deep ocean. We greatly outnumber the community of government & university sector marine scientists, are often well funded, and equipped with state of the art ships, autonomous underwater vehicles and sensors. We have the women & men who work at sea on oil and gas platforms, who install & maintain offshore renewable energy systems, who survey & install new cables and pipelines, who salvage damaged & sunken vessels, who plan new industrial installations, who work on fish farms, who work for marine spatial planning organisations, as private consultants, as media divers, who drive and maintain ships and submarines, who create wealth from the abundant resources that the ocean is able to provide when managed in a sustainable manner, informed by scientific evidence and accumulated experience, shared by members at networking evenings, mentoring, business breakfasts, seminars and through our publications. We are just at the start of a new era, where a world that must decarbonise quickly will find that the raw materials & metals required for the electric vehicle and renewable energy revolution are often found in the deep oceans and mid-ocean ridges, largely in areas beyond national jurisdiction. 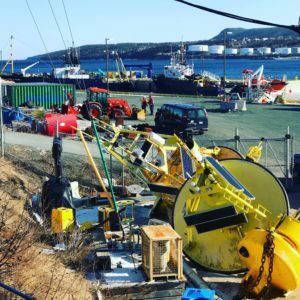 New kinds of machinery, new methods of autonomous survey, mineral extraction and seabed remediation will be developed and deployed in the next ten years. 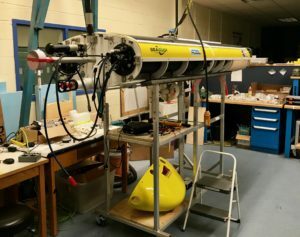 All of this activity generates data – metocean conditions for offshore operations and safe helicopter and drone operations; benthic biodata for seabed assessment and risk mitigation; full-ocean-depth oceanographic measurements so that robots can operate safely at 6000 metres and beyond, new cabled observatories, subsea communications and recharging points. Our members will be developing systems that allow autonomous surface vessels to navigate safely even if satellite navigation systems are being actively jammed or tampered with, we’ll be deploying sensors that will monitor sediment plumes from subsea mining activities, we’ll operate the most advanced and safest possible offshore plant to make hydrogen fuels, to bury carbon dioxide, even to re-stock the oceans with ranched finfish species. It’s an exciting time to be involved in offshore industry. AtlantOS & UN Decade of Ocean Science for Sustainable Development can work through the Learned Societies and Professional Bodies to agree codes of practise, metadata standards, and data sharing protocols so that the terabytes of ocean data gathered by our members in their routine operations are not wasted, or never see the light of scientific analysis. We’ll need to organise our mutual relationships a little better and form some new alliances to be well placed to help, but we can do that – the will is there. All of us publish peer-reviewed journals, we all want to see clean, safe, sustainably-managed yet wealth-creating ocean and seas able to provide essential energy, raw materials & products, and fulfilling careers for the next generation. I see huge opportunities for the international marine science community to develop new partnerships with industry. 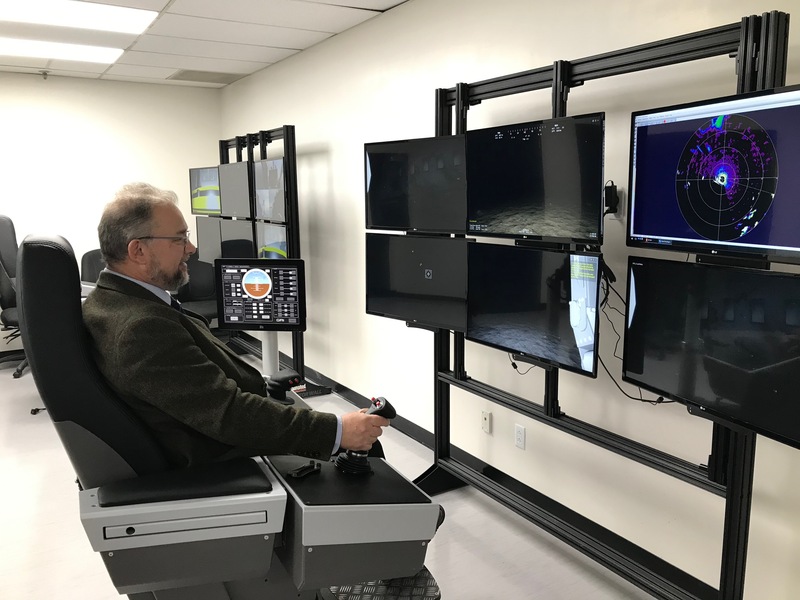 In a world where there are never enough research ships and sensors to gather all the data we need, private sector platforms, robotic or human-occupied, can act as additional systems for gathering ocean data, especially from deep waters far from the continental shelf. All of the Learned Societies have Continued Professional Development systems either ready or under development, they are engaged in training, safe working practices, and meeting Societal Need. We all encourage young people to join our sector, we all issue scholarships and have school liaison programmes. AtlantOS and UNESCO’s Intergovernmental Oceanographic Commission will find us only too willing to contribute what we can, for the benefit of humankind, to support the UN Sustainable Development Goals, and to manage the exploitation of ocean resources in the least-harmful possible manner so that all of the creatures who live in the One Ocean can live in healthy ecosystems including a large percentage of the global ocean left as unexploited, sanctuary space able to repopulate neighbouring waters.